This is rather typical of the "warming up everywhere" sort of forecast that the Climate Predication Center is more commonly likely to forecast around summer. This outlook is definitely more complex. Although besides the region of cold in the center of the country, it is perhaps more consistent than it might appear. The Equal Chance means there is a 1/3 chance of heat for most of the country. This is interesting because it forecasts above normal rain for a very large part of the country. Once more the point about Equal Chance applies. 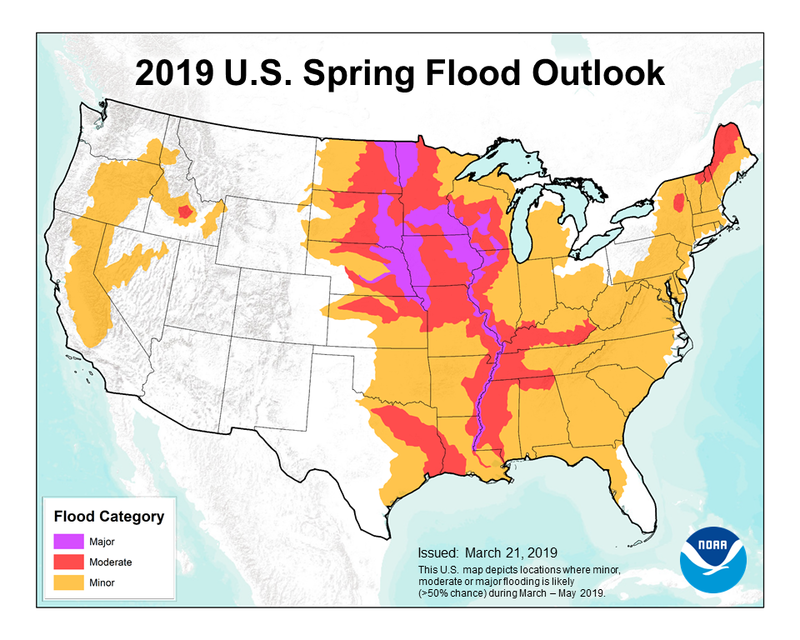 This figure is part of the NOAA Spring Flooding outlook press release. 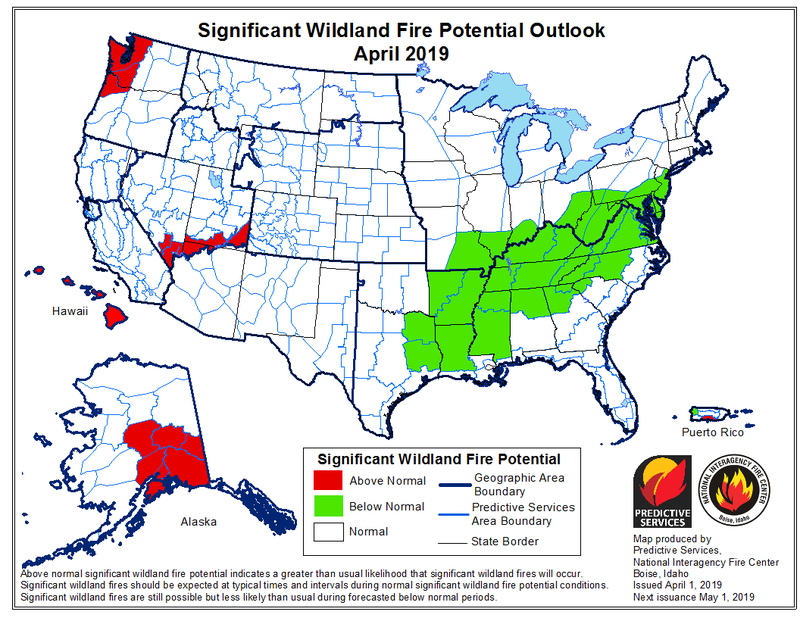 As reported elsewhere on this forum, it is to going to be difficult season for the plains especially if the rains are heavy this Spring. 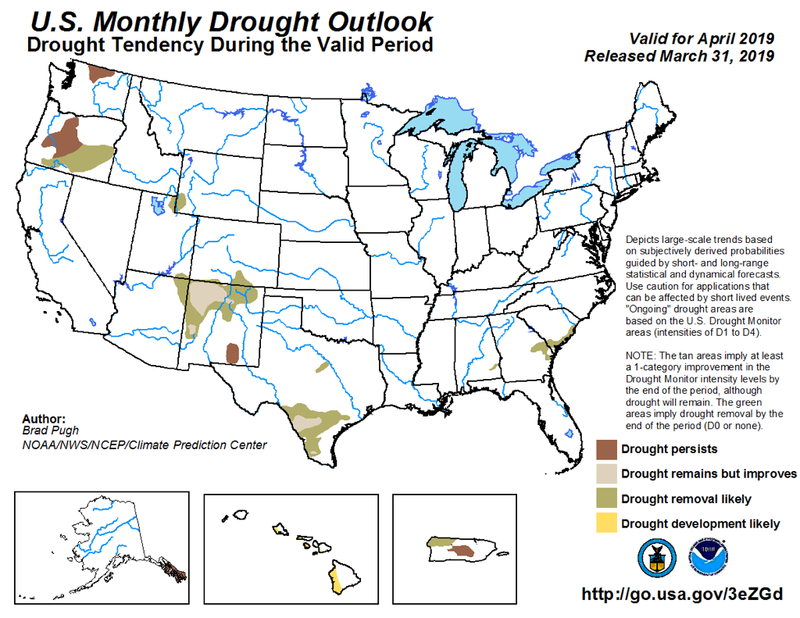 It paints an even more optimistic pictures of drought in the United States. 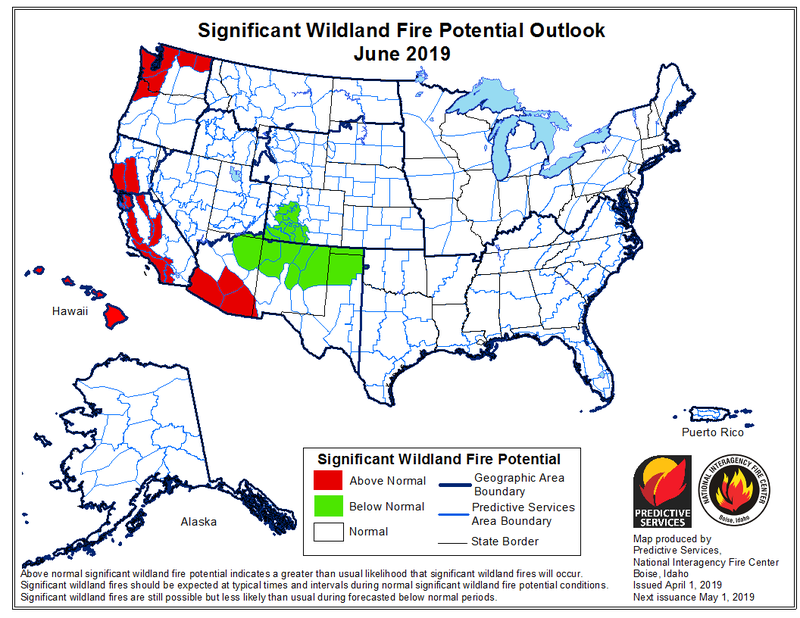 For June wildfire threats start appearing in California even with all the rains and Arizona. They also expand in Washington state. 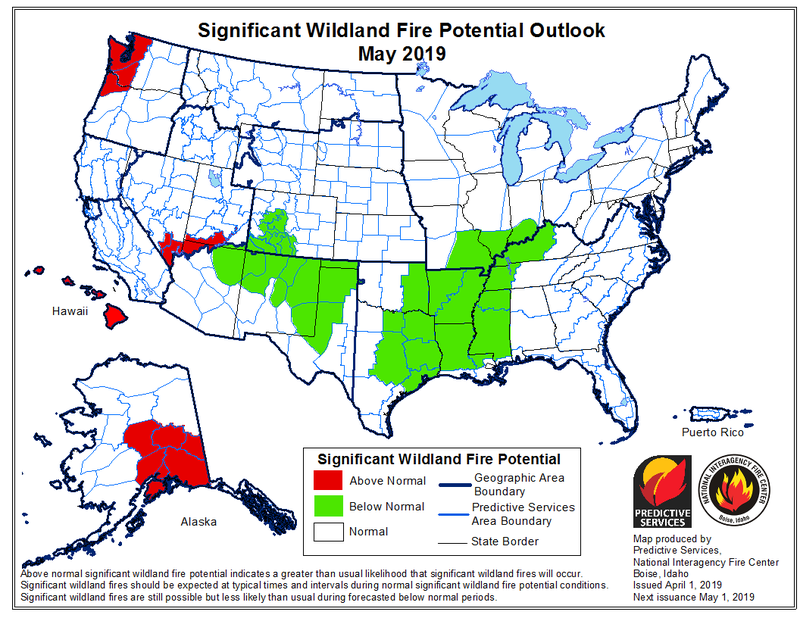 However, the 4-corners region shifts to less likely fires presumably because of expected monsoon rains. 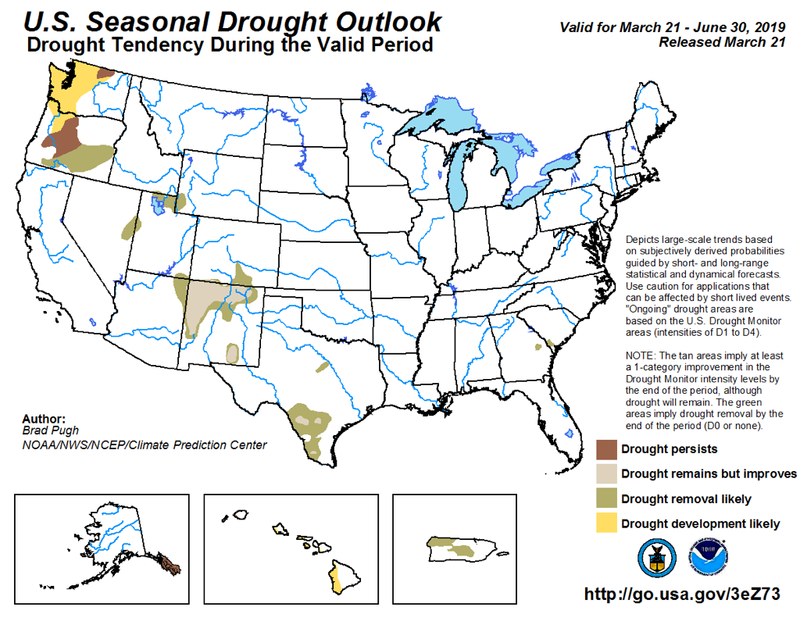 These forecasts are sure nice for much of the western US, with regards to precipitation.